Plan for a day of cool, family-friendly fun on the 8th (Sat) at Dam Sen Water Park. And it doesn't end there: don't miss a visit to Cu Chi Tunnels, get a sense of history and politics at Central Post Office, get outside with Indochina Cycling Tour, and take in the spiritual surroundings of Chùa Giác Lâm (Giac Lam Pagoda). Plan a trip to Ho Chi Minh City easily and quickly by telling Inspirock to suggest an itinerary. Katowice, Poland to Ho Chi Minh City is an approximately 21.5-hour flight. Due to the time zone difference, you'll lose 6 hours traveling from Katowice to Ho Chi Minh City. Expect warmer temperatures when traveling from Katowice in September; daily highs in Ho Chi Minh City reach 38°C and lows reach 28°C. Wrap up your sightseeing on the 9th (Sun) to allow time to travel to Phu Quoc Island. The largest of Vietnam's islands, Phu Quoc combines tradition with modernity, and nature with nurture. Phu Quoc Island is known for beaches, historic sites, adventure, nature, and spas. Your plan includes some of its best attractions: enjoy the sand and surf at Sao Beach, stroll through Long Beach, don't miss a visit to Sung Hung Pagoda, and play a few rounds at Vinpearl Golf Phu Quoc Course. Inspirock's itinerary builder makes planning a Phu Quoc Island trip simple and quick. You can fly from Ho Chi Minh City to Phu Quoc Island in 1.5 hours. Other options are to do a combination of bus and ferry; or take a bus. 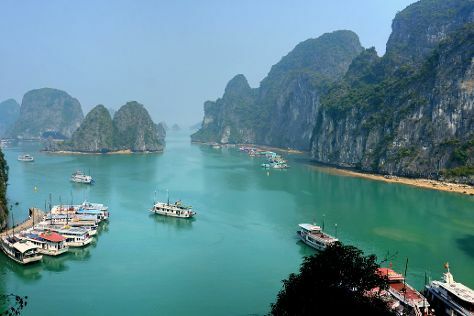 Cap off your sightseeing on the 12th (Wed) early enough to travel to Halong Bay. Halong Bay encompasses a cluster of verdant limestone islets that jut out from the sea and make up an enchanting setting recognized as a World Heritage Site. Change things up with these side-trips from Halong Bay: Cat Ba (Full Moon Party Tour, Cat Co 1 Beach, & more). There's still lots to do: contemplate the waterfront views at Hạ Long Bay, explore the fascinating underground world of Dau Go Cave, and head off the coast to Hon Ga Choi Island. To see photos, other places to visit, and other tourist information, refer to the Halong Bay trip planner . You can do a combination of flight and bus from Phu Quoc Island to Halong Bay in 4.5 hours. Wrap up your sightseeing on the 15th (Sat) to allow time to travel to Hoi An. 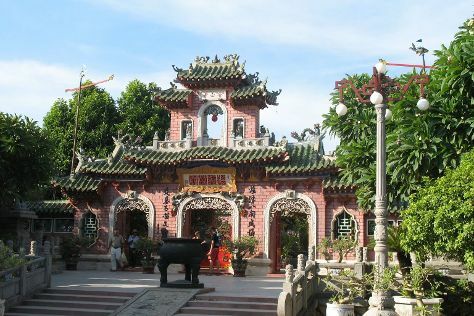 Explore the numerous day-trip ideas around Hoi An: Mỹ Sơn (in Duy Xuyen) and Da Nang (Da Nang Museum of Cham Sculpture, Lady Buddha, & more). Spend the 17th (Mon) on the water with a fishing tour. Make the 19th (Wed) an unforgettable day with an extreme tour. The adventure continues: make a trip to Hoi An Ancient Town, enjoy the sand and surf at Non Nuoc Beach, tour the pleasant surroundings at An Bang Beach, and explore the striking landscape at The Marble Mountains. To find ratings, traveler tips, photos, and more tourist information, read Hoi An trip itinerary maker tool . Do a combination of bus, flight, and taxi from Halong Bay to Hoi An in 4 hours. Alternatively, you can do a combination of bus, train, and taxi. In September in Hoi An, expect temperatures between 38°C during the day and 29°C at night. Wrap up your sightseeing on the 24th (Mon) to allow time to travel to Nha Trang. On a vacation in Nha Trang, a famous Vietnam resort town, you can lounge on a beach all day and party into the night. 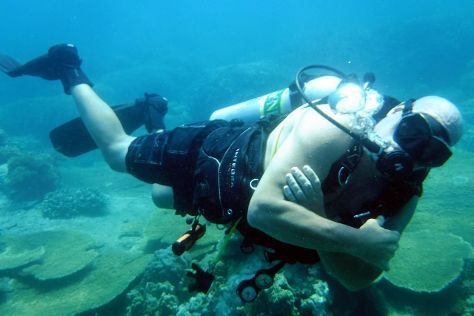 On the 26th (Wed), spend a cool day on the water with Mark Scott's Diving Vietnam. There's still lots to do: take in the spiritual surroundings of Po Nagar Cham Towers, stroll through Nha Trang Beach, make a splash at Vinpearl Land Amusement Park, and tee off at Vinpearl Golf Club. For where to stay, other places to visit, reviews, and tourist information, use the Nha Trang planning site . Traveling by combination of taxi, flight, and shuttle from Hoi An to Nha Trang takes 3 hours. Alternatively, you can do a combination of taxi, flight, and bus; or drive. Wrap up your sightseeing on the 30th (Sun) to allow time to drive to Phan Thiet. An emerging coastal getaway, the city of Phan Thiet has always been known for its fishing industry and, in particular, as a center of fish sauce production. 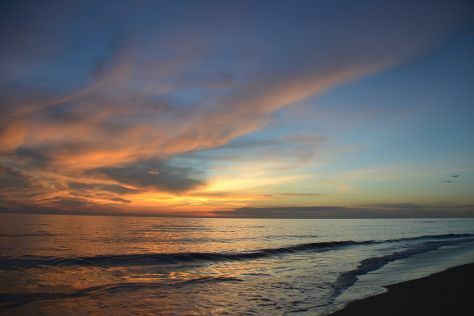 Phan Thiet is known for wildlife, nature, adventure, spas, and beaches. Your plan includes some of its best attractions: explore the activities along Lotus Lake, explore the striking landscape at Red Dunes, tee off at Sea Links Golf & Country Club, and take your sightseeing to a higher altitude at Ta Cu Mountain. For more things to do, ratings, reviews, and other tourist information, refer to the Phan Thiet itinerary planner. You can drive from Nha Trang to Phan Thiet in 3.5 hours. Other options are to take a train; or take a bus. Wrap up your sightseeing on the 5th (Fri) early enough to drive to Da Lat. While often referred to as "City of a Thousand Flowers," "City of a Thousand Pines," and "City of a Thousand Palms," you'd be right in thinking that numbers far greater than a thousand have given Da Lat its reputation as a fertile agricultural heartland. Da Lat is known for nature, historic sites, parks, shopping, and nightlife. Your plan includes some of its best attractions: scramble along the landscape with a canyoning and rapelling tour, get outside with Pine Track Adventures, hunt for treasures at Dalat Market, and take a stroll through The French Quarter. For traveler tips, maps, photos, and other tourist information, read Da Lat trip planner. You can drive from Phan Thiet to Da Lat in 3 hours. Another option is to take a bus. Finish up your sightseeing early on the 11th (Thu) so you can travel to Hue. Spend the 16th (Tue) exploring nature at Bach Ma National Park. There's lots more to do: steep yourself in history at Hue Imperial City (The Citadel), contemplate in the serene atmosphere at The Mieu Temple, surround yourself with nature on a nature and wildlife tour, and don't miss a visit to The Noon Gate (Cua Ngo Mon). To see maps, more things to do, reviews, and tourist information, read Hue online route planner . You can fly from Da Lat to Hue in 2 hours. Alternatively, you can do a combination of flight and train; or drive. In October in Hue, expect temperatures between 34°C during the day and 26°C at night. Wrap up your sightseeing on the 17th (Wed) early enough to drive to Phong Nha-Ke Bang National Park. Phong Nha-Ke Bang National Park is known for nature, nightlife, wildlife, spas, and adventure. Your plan includes some of its best attractions: explore the fascinating underground world of Son Doong Cave, look for all kinds of wild species at The Duck Stop, explore the striking landscape of Phong Nha Caves, and admire the sheer force of Phong Nha Botanic Garden. To find ratings, more things to do, reviews, and more tourist information, refer to the Phong Nha-Ke Bang National Park trip planner. Traveling by car from Hue to Phong Nha-Ke Bang National Park takes 3 hours. Alternatively, you can take a bus; or do a combination of train and taxi. Wrap up your sightseeing on the 20th (Sat) early enough to drive to Ninh Binh. A fairly nondescript town, Ninh Binh acts as a base for explorations of the province of the same name, with the karst landscape and lush valleys that surround the town offering a wealth of scenic vistas of rice paddies and rugged rocks. Start off your visit on the 21st (Sun): hunt for treasures at Rong Market Ninh Binh, then Head underground at Trang An Grottoes, and then don't miss a visit to Bich Dong Pagoda. Here are some ideas for day two: identify plant and animal life at Van Long Nature Reserve, then Head underground at Mua Caves, and then make a trip to Tam Coc. For other places to visit, reviews, photos, and other tourist information, read Ninh Binh online trip itinerary maker . You can drive from Phong Nha-Ke Bang National Park to Ninh Binh in 6 hours. Other options are to do a combination of bus, taxi, flight, and train; or do a combination of taxi and train. 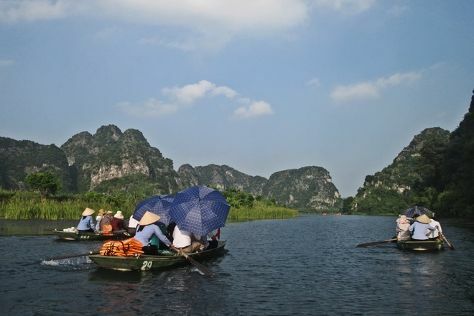 In October in Ninh Binh, expect temperatures between 35°C during the day and 26°C at night. Wrap up your sightseeing on the 22nd (Mon) to allow time to drive to Hanoi. Pamper yourself for a day on the 26th (Fri) at some of the top local wellness centers. On the 27th (Sat), spend an adventurous day with a kayaking and canoeing tour. There's still lots to do: appreciate the extensive heritage of Old Quarter, contemplate the long history of Temple of Literature & National University, take an in-depth tour of Ho Chi Minh Museum, and admire the masterpieces at Fine Arts Museum (Bao Tang My Thuat). For reviews, traveler tips, more things to do, and tourist information, go to the Hanoi online sightseeing planner . Getting from Ninh Binh to Hanoi by car takes about 1.5 hours. Other options: take a train. Wrap up your sightseeing on the 29th (Mon) to allow time to travel back home.